The Somerville Public Schools has a comprehensive system of assessing student progress that includes teacher developed classroom assessments, quarterly grade reports, local common assessments, and statewide standardized tests including MCAS and ACCESS. Assessment data is used to individualize instruction in the classroom, make decisions about student needs, and improve instructions across grades and department. MCAS: The Massachusetts Department of Elementary and Secondary Education (DESE) regularly assesses student proficiency in Reading, English Language Arts, Math and Science/Technology using the Massachusetts Comprehensive Assessment System (MCAS). 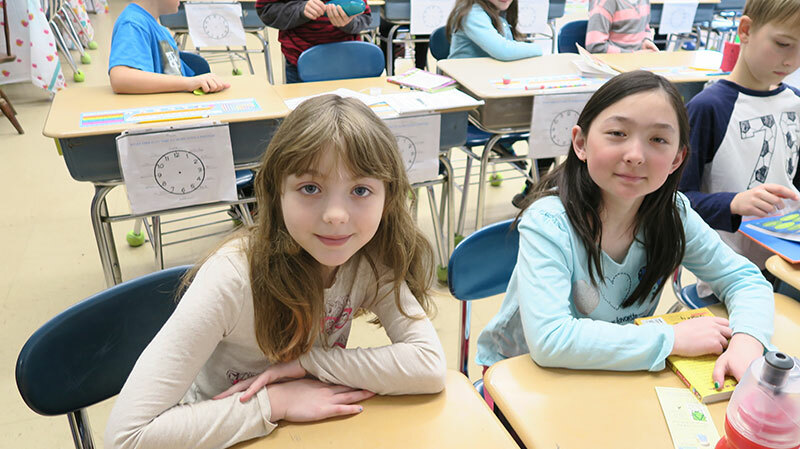 The elementary MCAS tests are intended to help schools and teachers know if students have mastered the content required to succeed in high school. The statewide test schedule is available through the DESE. As the Commissioner of Education Mitchell Chester has communicated, there is no formal process for students to opt-out of MCAS participation. Since the Somerville Public Schools is mandated to administer these tests, our administration provides school principals with guidance on ways to balance this requirement with a sensitive treatment of children who may not participate. To be clear, however, we want to encourage all students to participate in the state testing program, believing it provides valuable data to support their learning. Likewise, it is important that we point out to parents that their child’s electing not to participate in testing may have negative state accountability consequences for the school and District. At the same time, however, we respect the rights of parents who, based on what they believe is the best interest of their child, may elect to not participate in MCAS. Per DESE direction, students will be marked absent from testing. This will be keyed into the Pearson system by the administrator. If it’s a paper exam, they will be marked absent by default as a blank test booklet will be submitted. Please note that "absent" from testing is not the same as absent from school; they will be present for school purposes. ACCESS for ELLs: The Somerville Public Schools also tests English Language Learners on their oral and written English proficiency using the Commonwealth's ACCESS for ELLs (ACCESS) . ACCESS test results are used by the District to determine if a student continues to need Sheltered English Immersion Program or other academic support services to help them master English. Providing teachers with "real time" data on how their students are progressing towards their grade level standards is the reason for the Somerville Public Schools' comprehensive local assessment program called STAR. Data from STAR Reading and STAR Math testing for students in Grades 2 - 8 three times per year (fall, winter and spring) allows teachers to better understand individual student's mastery of lessons and concepts so they can adjust instruction accordingly. In addition, we administer the DIBELS assessment three times a year in grades K-3 which provides teachers with data on early literacy skills such as letter recognition, sound awareness and fluency. View a sample STAR report. Visit the U.S. Department of Education website for tips on ways you can help your child with test-taking.